Have you ever joined in on a Mystery Quilt Weekend? 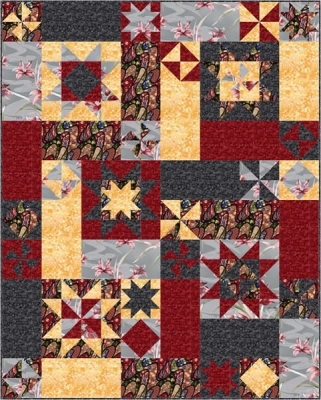 The idea is to create a series of quilt blocks without knowing the final pattern. An instructor leads you through all the techniques needed to make the quilt by providing the patterns in segments. If you are someone who likes to follow step-by-step directions without needing to see the final outcome, a Mystery Quilt Weekend can be a fun way to challenge yourself. Well known quilter, Jessica E. Smith, is back with her popular series held from June 21-22, 2014. Jessica, of The Quilt and Needle, is known for helping quilters all over the world break through their self-imposed barriers with her mysteries. Plan to attend the June 21-22 session by registering now or you can register for any of the upcoming dates later this year. Written with informative color graphics, efficient techniques and “Awesome Tips”, Jessica’s Mystery Quilt Weekend patterns are designed to intrigue quilters of all ability levels. 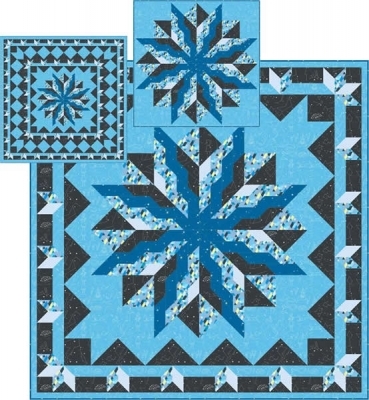 Her original designs incorporate a variety of techniques while providing simple instructions that a beginner can follow and a quilting veteran would be pleased with. There are no ‘Y’ seams, curved piecing, or similarly challenging techniques in any of the Mystery Quilt Weekend patterns. 1. Fabric Requirements will be emailed to you directly from the designer seven days before the weekend starts. 2. The assembly instructions will be e-mailed to you during the Mystery Quilt Weekend. The first installment will be sent by 10:00 am CST, Saturday morning. 3. You will continue to receive instructions throughout the weekend, via email. 4 .The final installment will be emailed by 6:00 pm CST on Sunday evening. You start the weekend with cut fabric, not knowing what you will make, and by the end of the weekend you will have a completed quilt top! If you don’t have time to sew during the actual Mystery Quilt Weekend, save the pattern to complete at another time! During the process there will be opportunities to show your progress. Mystery Quilts are more fun when stitching with friends. Join the discussion at The Quilt and Needle forums or on Jessica’s Facebook Fan Page. Join in on a year’s worth of Mystery Quilt Weekends! 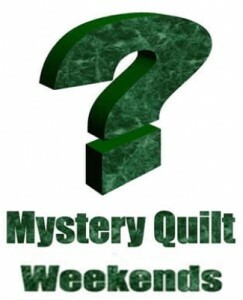 Purchase all four 2014 Mystery Quilt Weekends at a discounted price. If one or more of the 2014 Mystery Weekends has already passed, the previous patterns will be automatically e-mailed to you. If you want to participate in an at-home Mystery Weekend and want someone else to provide the fabrics and even cut them for you, we are offering kits to go along with Jessica Smith’s Mystery Weekend, June 21 – 22, 2014. There are yardage options, if you prefer to cut your own, or pre-cut options if you would like someone to do the cutting for you. Don’t miss the fun! Register today!! This entry was posted in Designers, Fun!, patterns, QuiltWoman and tagged Jessica Smith, Mystery Quilt Weekend, quilt patterns, QuiltWoman.com. Bookmark the permalink.